I’ve been having really disturbing dreams lately. The kind where I wake up with my jaw clenched and my eyes squoze shut and my hands in fists. Not really restful, I tell you. Most of you know I play handbells in a bell choir. In my dream we were at a sort of “hand bell retreat” or something up in the mountains. There were cabins, and a bunch of bell choirs came together to learn, practice, and perform together and for each other. But it wasn’t the choir I’m with now, it was more of a high school level choir. And we weren’t the cool choir up there. There was another choir who was more of a “show choir” only with handbells. They did skits, musical numbers, singing, handbell ringing, and had flashy costumes. Everybody thought they were the coolest and wanted to be like them. There was a fire threatening the canyon where we were, but not having radios and phones left us kind of out of the loop. People kept talking about an evacuation, but then it didn’t really happen. There were some tractors up there, and they were doing some work (on what I don’t know), and broke into a water pipe that threatened much of the large meeting cabin area, but we got out the food and things that seemed to be at risk, and then went back to our group’s area. Eventually, it was time to get out, and get out fast. I had my car up there, only it wasn’t my high school car or my current car, it was my Mazda GLC from college. (Too bad I hadn’t driven my suburban that I currently own, as I could have fit a lot more into it.) We were gathering up as many bells as we could. I even took them out of their cases and put them in bags to try to save as many as I could. I figured they would be better scratched or damaged then totally melted, right? Teresa and Courtney, two members of my current bell choir, were pushing a huge wheeled case up a hill, trying to save as many bells as possible. I’m not sure where they were going to put all those bells or if they just planned on pushing the case all the way home, but they were determined to save as much as they could. I remember thinking “Where is Alex (our very capable stage manager) when we need him,” come to think of it, where was Mr. W? Where were any ‘adult’ authority figures? Well, remember, friends, it was, after all, a dream. My friend Liz and I (both a high school friend and a friend in my current bell choir, so it stands to reason she would be in my dream) loaded up as much as we could get in my car, and drove as quickly as we could to safety. There are so many reasons why this is illogical (bells in the mountains? Why?) and irrational, and I can piece together where certain fears are coming from if I wanted to analyze it, but I guess I just wanted to get it all down so I won’t forget it. And to let you in on just how psychotic I really am. This morning, John lovingly carried the jar of peanut butter to the counter, and gave it a kiss. Yes, the boy loves his pb. Robin took off with her kids to go see some sights in Salt Lake. Her son Jacob whined and complained that she was dragging him away. Away from what? I ask you? Jobs and piano practicing? Nothing exciting going on here, I tell you, but still, he’d rather be here. Thanks for the complement! I haven’t seen Cole since I told him to stop reading that Harry Potter book and get dressed. I suspect he took the Harry Potter book with him to go and get dressed, and he’s still reading it. Probably still not dressed. Today is Harry Potter’s birthday party at our library. We go every year, and it’s usually a fun event, but with WAY too many kids there. This year you had to sign up for a time slot, so maybe it won’t be so absolutely crowded. Maybe. And me? I just wasted too much time watching phone guy. Just a few things for you today. First, I had no idea we would get so many comments to enter the little contest.Ã‚Â If you came by just to sign up, I hope you’ll stop by again and see what we’re up to.Ã‚Â I will have to cut off comments at 8 am Friday morning, and then we’ll randomly draw for winners. Second, I can’t wait until John is 4.Ã‚Â I’m hoping this 3 year old attitude problem will go away when he’s 4.Ã‚Â Today we had a screaming kicking fit that ended in him screaming “Go Away!” over and over and over again from his bed while I sat and calmly started reading the 7th Harry Potter book that was sitting on the floor until he gave up the fight to be grumpy and fell asleep for a MUCH needed nap.Ã‚Â And I’m not even sure what the whole fit was about. Thirdly, I got my hair cut yesterday, and if I do say so myself, it looks so cute!Ã‚Â But then my beloved hairstylist, who has cut my hair for about 12 years now (off and on) told me that she’s getting out of the hair styling business.Ã‚Â Her husband is no longer a struggling teacher or a starving student, he’s a lawyer, and she doesn’t need to have a job anymore.Ã‚Â She’d rather spend more time with her kids.Ã‚Â I’m going to try to convince her that I only come 4 times a year, and if needed I’ll cut it back to twice a year if she’ll just please continue to do my highlights.Ã‚Â But if that doesn’t work, I’ll have to go out and find someone I trust to cut my hair.Ã‚Â Humph. And lastly, Robin took her kids and two of my kids camping last night, and they had such fun.Ã‚Â They got to sleep in her newest Vanagan, and how much fun is that?Ã‚Â Cool!Ã‚Â Maybe the little kids can sleep out there tonight. Melody at Slurping Life put together a little Love-a-Thon for Parker, and he could sure use your thoughts and prayers as well. Here in Utah it’s the 24th of July–or better yet, it’s Pioneer day!. Well, I guess it’s Pioneer day (as well as the 24th of July) in other areas, too, but maybe they don’t celebrate it there. We had a fantastic ward breakfast this morning; sponsored by the Elders. It’s usually a great and fun event, but this year it was ramped up a bit by including a primary activity. After the breakfast, the primary kids were all invited to walk in the “pioneer parade”. By parade, I mean walk around the track that surrounds the 1/2 acre or so that is the front yard of the neighbor’s house (no, this one was not at my house). They actually have a little bike trail built in. Along the way, they had to go through “winter quarters” (which was a little sign that said Winter Quarters and there were some blocks of ice on the ground), and then cross the “Sweetwater river” (which was a little kiddie pool filled with water). But if they didn’t feel like walking through the “river”, or if they had a handcart or something like that, they could just go around. Eventually, they reached the Salt Lake Valley and there was a sign that said “This is the place”, and they all got a cute handcart shaped sugar cookie. I don’t think the real pioneers were greeted with sugar cookies when they arrived, but that would have been nice for them, wouldn’t it? Hello, Brigham Young! We understand you’ve had a long walk and lost some of your travelers along the way to disease and Indian attacks. You are tired and sick and have no supplies, and this dreadful desert with nothing but scrub oak and a bunch of tumbleweeds is your new home. Have a cookie! Tonight we have a family barbecue. We are making devilled eggs (Megan’s specialty), baked beans, and chocolate chip cookies. The rain clouds are moving in, however, and I hope it doesn’t rain on us. No, actually, I just hope it doesn’t rain in Spanish Fork, and I hope it rains and rains and rains here, at my house, from now until Thursday afternoon. What? A girl can hope, can’t she? Oh, and did anyone else by any chance hear the Gold’s Gym Radio commercial? The one with “Arnold Schwarzeneger?” The one where he sings, ‘Pioneer children walked to Gold’s Gym, Gold’s Gym, Gold’s Gym, GOLD’S GYm’? I’m still laughing about it! Note: This Contest is now closed. You can go here to find out if you’ve won. Shannon had the bright idea to host a bloggy giveaway bash, and you know I can’t resist a contest, so I’m in. I have several “prizes” for you, and all you have to do to enter is leave a comment. I’ll draw the winners on Friday, July 27th. How simple is that? And since these prizes are very random and different, let me know in the comments which prize you would like to be considered for. OK? So, on with the show…. 3- A CD! I’m pretty sure I must have won this in a radio contest or something. I’m not really sure. 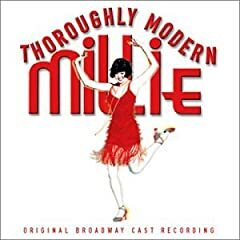 And although I’m sure I would love the music if I had seen the show, I haven’t yet seen the show and therefore don’t have much interest in the music. Are you a fan? Would you like to win this copy for your very own? 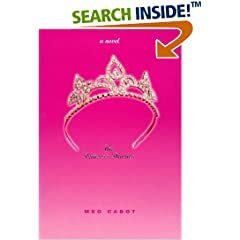 4 –The Princess Diaries by Meg Cabot. My book has a different picture on the front, and it’s in paperback, but it’s the same book. Like the movie, only in book form. This is a brand new book. It’s spine is still tight and no pages have been dog-eared. It even smells new. So, there you have it, folks. If you are new here and just came over for the contest….welcome, and I hope you’ll visit again! Just leave a comment to enter, and for more contests, visit Shannon at Rocks in my Dryer. She’s got links to LOTS more! Well, even amid our financial difficulties, the summer must go on.Ã‚Â Thursday I took the kids up to Payson lakes for day one of the Coleman family reunion.Ã‚Â It was fun and exciting.Ã‚Â If you call having a major wildfire in the next canyon exciting.Ã‚Â Ash was falling from the sky on us all afternoon even though that fire was a good 30 miles away.Ã‚Â And our ranger friend kept coming and telling us they might evacuate.Ã‚Â We swam, we ate, we did some crafts, and we roasted marshmallows.Ã‚Â The kids and I had a great time.Ã‚Â They wished to stay longer, but I was happy to be leaving when it was dark.Ã‚Â We drove down the canyon and met a police officer who was stopping people and warning them, if not totally turning them back so they couldn’t go up.Ã‚Â We got home about 10:30 dirty, tired, and smelling of ash. Today was Ryan’s company party at Boondocks.Ã‚Â It was fun fun fun, but WAY TOO HOT!Ã‚Â We took Sarah and Jacob with us and fun was had by all. Now if you’ll excuse me, I’m going to carry up a sleeping 3 year old and put him in bed, and I’m going to bed, too. p.s.Ã‚Â Stay tuned for a contest announcement on Monday.